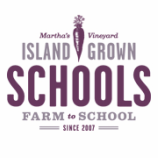 Thank you for visiting Island Grown Schools's curricular resources! This page is regularly updated as our programs grow and change, so please continue to check in with us to see what is new! And please feel free to let us know what you think, and if you have any of your own educational resources you would like to suggest.